Public speaking is the number one fear in America. Many people absolutely hate speaking publicly and have physical reactions to the process. As an author, speaker, or coach it is important that you master the skill of speaking publicly. 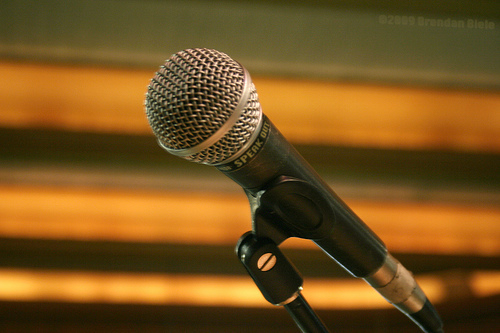 Below are 11 public speaking quotes that will offer you some inspiration and motivation. Becoming a great public speaker is a journey. So don't stop trying to improve your craft. Public speaking can be tough. Many people get really nervous. Like the Mark Twain quote says public speakers are either nervous or lying about being nervous. I think some people with a lot of experience do get over the nerves though.